Lisa Auguste (pronounced O geest) is a multi-faceted performer working out of Toronto, Ontario. In 2008, she was a member of So You Think You Can Dance Canada’s first Top 6. She has appeared as Cheetah in the Mirvish Production of the Broadway musical Disney’s The Lion King, and can be seen in the feature film Shall We Dance with Richard Gere and Jennifer Lopez. She has been a principal dancer with ProArteDanza, an internationally renowned dance company that uniquely fuses ballet and modern dance; Helix Dance Project, and Gadfly. She has also traveled through Europe, South America and the Caribbean as a dancer with both Royal Caribbean and Regal Empress cruise lines. She can be seen in music videos for Our Lady Peace, Lauryn Taylor, Love Inc, Jully Black and Shawn Desman. 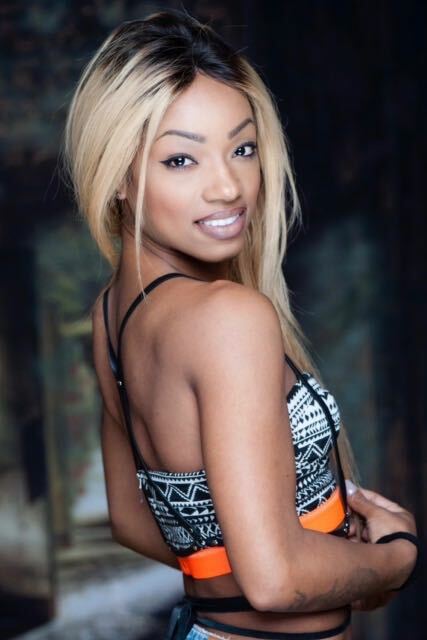 She was a featured dancer on the Toronto Pan American Games Closing Ceremonies, the Toronto One television show, Kiss 92’s 1st annual award show, and the lead in the Life Network’s TV series Style By Jury and Match Maker. Lisa has trained extensively in ballet, tap, jazz, acrobatics, modern, salsa, hip-hop, some break dance, popping and acting. She is an avid teacher, choreographer and adjudicator known throughout Canada for her creative and disciplined style. She is currently on faculty at the Randolph Academy for the Performing Arts.